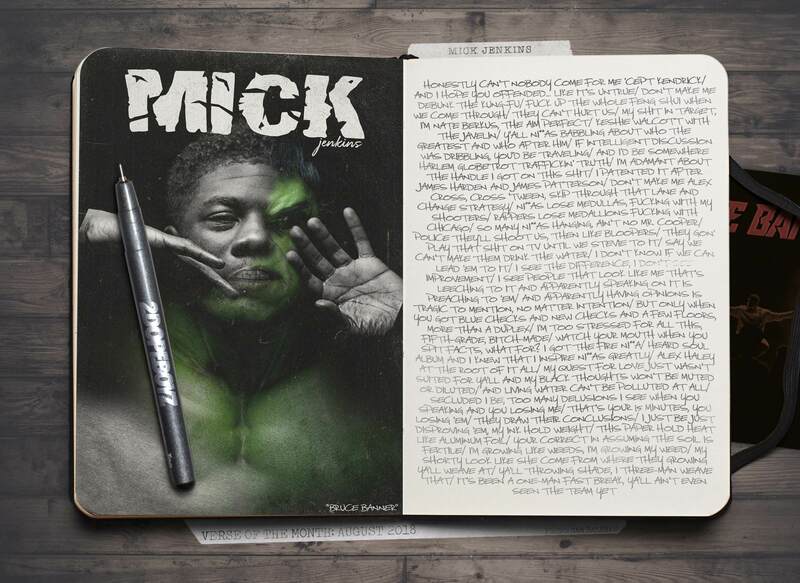 This month was stacked with quality entries, but it’s Mick Jenkins who gets the nod for Verse of the Month, and he called it with the first line of his verse. While we anxiously await his Piece of a Man project, the Chicago emcee hulked out on his opening salvo. Name-dropping everyone from Nate Berkus and Alex Haley to Mark Cooper and “Keshie” Walcott, Mick wasted no bar in the 3:45 stronghold he possessed on the record. While this was once again a tough month (with Eminem threatening to toss a monkey wrench in everything), it’s safe to say that Mick gets the victory lap this go-round.